It’s been a century since Vacheron Constantin introduced its first tonneau-shaped wristwatch — which was probably among the first series-produced wristwatches ever made, as 100 years ago, in 1912, the wristwatch was still very much a novelty, tonneau or otherwise. The tonneau shape is one that very early found favor with companies making the first generation of pocket watches; it was (and is) a natural shape for a watch meant to be worn on the wrist, as the barrel shape (“tonneau” means “barrel” or “cask” in French) provides a natural point for attaching a strap. Vacheron Constantin, interestingly, had made wristwatches much earlier than the beginning of the new century; a notable example, for instance, is the bracelet wristwatch, wound by turning the bezel, for which it won a prize at the Paris Exposition Universelle in 1889. Though many watchmakers had created bracelet watches in the earlier part of the 19th century (and before — there is evidence that watches were placed in bracelets almost as soon as watchmakers made movements small enough to fit, which is surprisingly early; in 1810, Vacheron created a ladies’ ring watch with a tiny verge movement), Vacheron’s 1889 bracelet watch was one of the first to be mass produced. However, like virtually all wristwatches made prior to the 20th century, it was intended for a woman; it wasn’t until the Boer Wars and WWI that it became clear that the wristwatch had a utilitarian superiority to the pocket watch. The tonneau shape was not only a logical one for a watch worn on the wrist, it was also a way of distinguishing a truly purpose-built wristwatch from a pocket watch (many early watches worn on the wrist weren’t really wristwatches, but pocket watches with wire lugs soldered onto the case, or which had been placed in leather outer cases to which straps were attached). It says something about the gender anxiety of early 20th-century males that it took a world war to persuade them that the wristwatch was suitable masculine attire; and during the war years, Vacheron’s production of tonneau-shaped watches especially increased, although even before the war, it was already making both men’s and women’s tonneau-shaped wristwatches. Prior to this year, the— Vacheron’s extensive line of tonneau-shaped simple and complicated watches — was composed exclusively of watches with the classic tonneau shape: a smoothly rounded flank and squared-off ends. 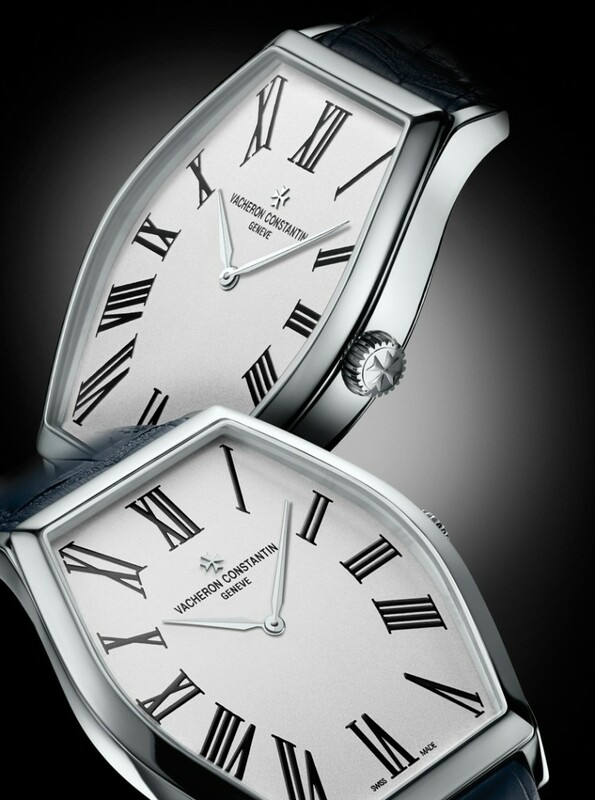 This year’s new introductions have a slightly different flavor; the shape is somewhat more geometric, recalling both the earliest generation of tonneau-shaped watches and also recalling the fact that the tonneau case was a result of merging the rectangular and round case shapes of the earliest wristwatches. In addition to a new tourbillon wristwatch, fitted with a form tourbillon movement designed for the new case shape (Vacheron caliber 2795), several additional tonneau-shaped timepieces in the new modified Malte case have been introduced. 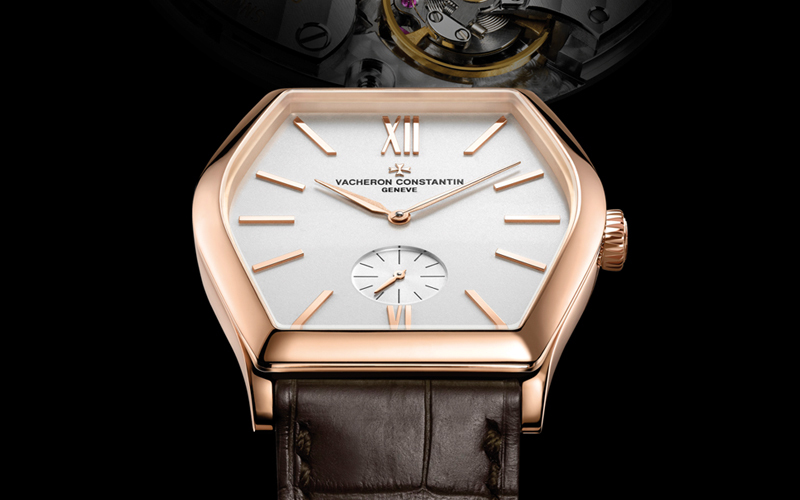 The Malte collection has always been a showcase for Vacheron Constantin’s prowess in complicated watchmaking, but it wasn’t until SIHH 2012 that the firm added simple, two- and three-handed dress watches to the collection. The Malte Small Seconds is a watch that could have fallen through a wormhole from those early, heady days of design experimentation at the dawn of the 20th century, though the pink-gold case is crafted to satisfy modern tastes, at 47.6mm by 36.7mm. It’s up to date in another significant way as well; it is one of the first watches to fulfill the new criteria for the Geneva Hallmark (Poinçon de Geneve) which formerly addressed only details of movement construction, but which now includes casing and performance criteria as well. even a small seconds register for an uninterrupted and completely classical display of the time with Roman numerals and sword-shaped hands. Though it’s a clear homage to the first generation of tonneau-shaped watches, the execution of the lugs and hands and the clean geometry of the design give it a contemporary feel as well, further underscored by the relatively generous (47.6mm by 36.7mm) dimensions of the case.